Nichols Field was located in southern Manila on Luzon, Borders Manila Bay to the west. Built by the U. S. Army with two parallel runways run oriented roughly northwest to southeast with taxiways, hangers and buildings. Used by the Far East Air Force (FEAF) pursuit aircraft (fighters) including P-26s, P-35s and later P-40 Warhawk fighter aircraft. On December 8, 1941 P-40 Warhawks took off from Nichols Field to intercept enemy aircraft spotted on radar, but fail to make contact. In the afternoon, P-40s again took off from Nichols Field to patrol over Bataan and Manila. On December 9, 1941 shortly after 3:00am, Japanese aircraft attacked Nichols Field. After Manila was declared an "Open City" the Japanese occupied Nichols Field and used it as a military airfield during the occupation of the Philippines. On May 19, 1942 the Japanese had American prisoner of war (POW) pilots Crosland and Erickson fly two P-40 Warhawks and a Stearman biplane from Davao Airfield to Nichols Field. 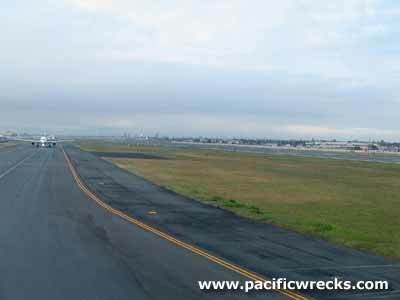 One of the P-40s was delayed due to landed at a small airstrip en route due to bad weather. This was the last flight of the FEAF during the defense of the Philippines. As the threat of American liberation approached, the Japanese anticipated an attack on Manila to come from south and defenses added to the airfield including anti-aircraft guns, pillboxes, gun positions and bunkers, manned by troops from the Japanese Navy, 3rd Naval Battalion. During February 1945, Nichols Field was liberated by U. S. Army troops. At the airfield, many wrecked Japanese Navy and Army aircraft were captured including several largely intact. After being repaired, Nichols Field was designated as US Army APO 75. For the remainder of the Pacific War, used by several U. S. Army Air Force (USAAF) squadrons, Air Transport Command (ATC) and Naval Air Transport Service (NATS). Between 1945-1946 a NATS detachment of six officers operated DC-3 transports was based at Nichols Field. This airfield remained in use. After Philippine independence, renamed Nichols Air Base later renamed Vilamor Philippine Military Air Base. Manila International Airport or simply Manila Airport. On August 21, 1983, when politician Benigno "Ninoy" Aquino, Jr. returned to the Philippines from his self-imposed exile in the United States he was assassinated at the airport. In 1988, the airport was renamed by Republic Act No. 6639 as Ninoy Aquino International Airport (NAIA) in his honor. 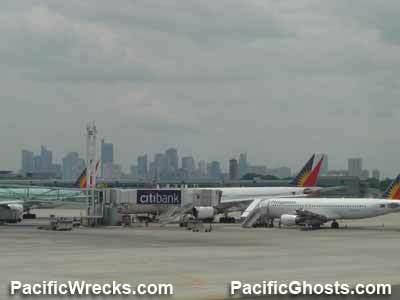 Unofficially, the airport is still known as Manila International Airport or Manila Airport. Ninoy Aquino International Airport or Ninoy Aquino Airport is the primary airport serving the Manila area and used as a civilian port of entry and military airport with two runways. The first oriented 24/06	measures 12,261' x 197'	surfaced with concrete. The second oriented 31/13	measures 7,408' x 148'	surfaced with concrete. Airport codes: ICAO: RPLL	IATA: MNL. The airport is also shared by the Philippine Air Force (PAF) for use by military aircraft. Adjacent is the Vilamor Philippine Military Air Base with the Philippine Air Force Museum (PAF Museum).